Dress up your little cutie for Halloween and not only! 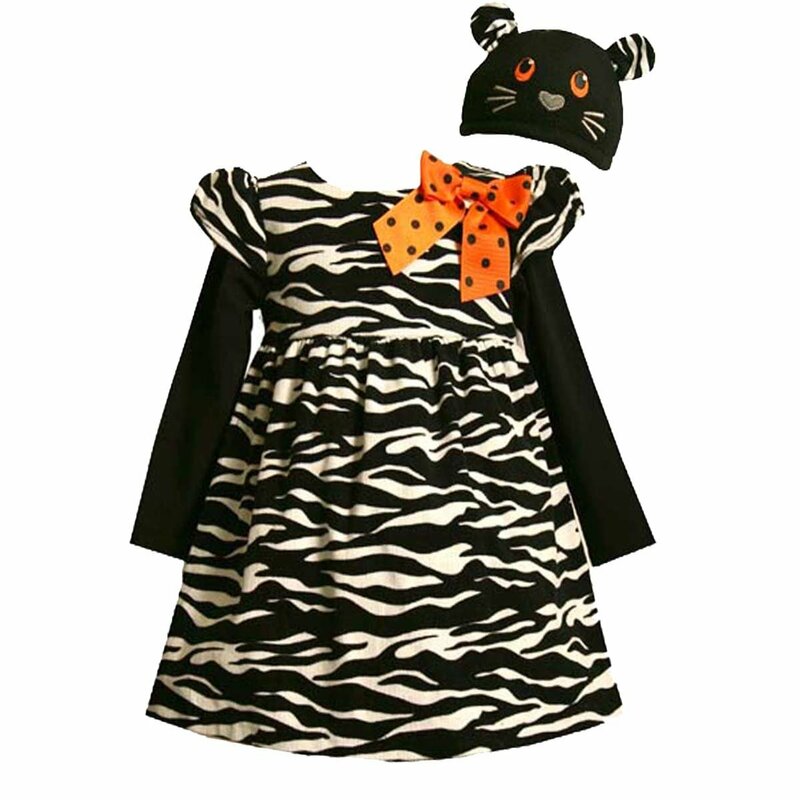 Beautiful black and white mock-layer animal print in Zebra dress, features a comfortable black knit mock-shirt with long sleeves and orange/black polka dot grossgrain bow trim at the shoulder with an easy back zip closure. Comes with matching embroidered ‘Animal Face’ hat. Machine washable. Imported. Dress of 100% cotton – Mock Shirt of cotton/spandex – Lining of polyester/cotton – Exclusive of trim/decoration. Matching/Coordinating sister styles available in sizes 3M-6X.